Utah is the home of five national parks: Zion, Bryce, Arches, Canyonlands, and Capitol Reef. Host of the 2002 Winter Olympic Games and annual Sundance Film Festival. Top rated ski areas like Deer Valley, Park City, Alta and Snowbird. 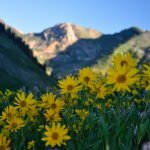 I am a Salt Lake City native, but spent a decade living back East. I like wandering through big cities or backpacking remote mountain ranges or deserts. Love to ski, snowboard, run rivers, hike, take photos, go to art galleries, live music venues, local restaurants and breweries. 22 Mar 2019ReplyUgandaRe: South Africa or Uganda? 21 Mar 2019TopicUgandaSouth Africa or Uganda? 10 Jan 2019ReplyKruger National ParkRe: If you had seven nights in Kruger, where would you go? 10 Jan 2019TopicKruger National ParkIf you had seven nights in Kruger, where would you go? 12 Aug 2018TopicUtahUS HWY 6 Closed. SLC to Moab must find alternate routes. 20 Apr 2018ReplyJohannesburgRe: Lucky Dube shrine or memorial? 19 Apr 2018TopicJohannesburgLucky Dube shrine or memorial?